Preheat oven to 400°. Lightly grease a medium baking dish and set aside. In a shallow bowl, combine bread crumbs, grated Parmesan cheese, shredded Romano cheese, garlic powder and salt. 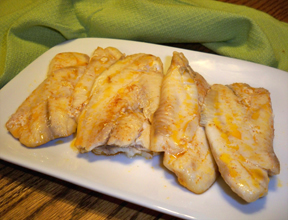 Brush both sides of orange roughy fillets with melted butter and dredge fillets in the bread crumb mixture. 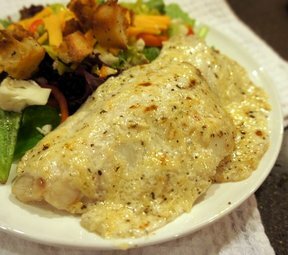 Arrange fillets in a single layer in the prepared baking dish and sprinkle with fresh parsley. 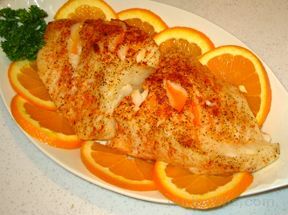 Bake in preheated oven for 10 to 15 minutes, until fish flakes easily with a fork. Serve warm. Makes 4 servings.